Les sondes d'angle intégrales offrent d'excellentes caractéristiques de signal sur bruit et sont équipées de joints d'usure en plastique durables. Les deux connecteurs Microdot droit et à angle droit sont offerts sur certains modèles. *A564S-RM, A574S-RM and A5053 create surface waves in steel and aluminum. Miniature potted angle beam transducers provide an excellent balance between size and performance by utilizing integral angle beam shear wave wedges. Overall size and footprint are reduced compared to a screw-in style transducer and wedge with little or no sacrifice in performance. Epoxy housings prevent test surface scratching caused by the transducer. Connectors are available in either top (straight) or side (right angle) mount depending on application requirements. Four standard shear wave angles of 45°, 60°, 70°, and 90° or custom angles are available upon request. 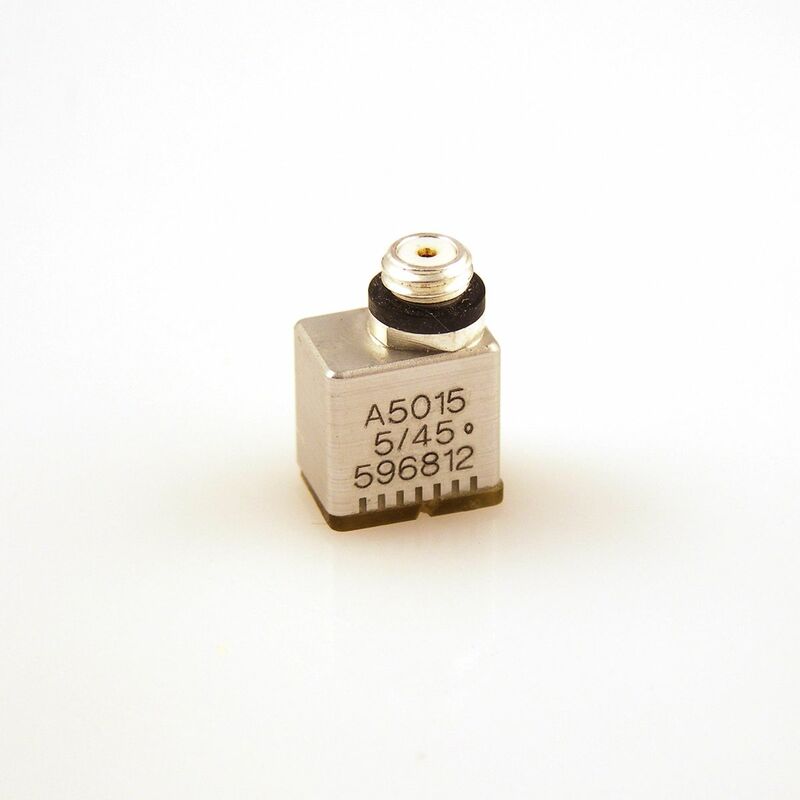 The sub-miniature (HS-225) and ultra-miniature (HS-877) angle beam transducers are supplied in frequencies from 2.25 to 10.0 MHz with angles from 45° through 90°. Epoxy housings prevent the transducer from causing scratches to the test surface. These transducers are ideal for inspection of small diameter welded tubes and applications where the requirement is for a shear-wave transducer with a very small footprint. Depending on the type selected, either top or side mounted, Microdot connectors are available. When ordering, please specify part number, frequency, angle, material to be inspected, and connector location. Sub Miniature Integral Angle Beam Transducers, Standard Series, 2.25 MHz, 0.120 in. x 0.250 in. ; 70 degree shear in Aluminum, Right Angle Microdot Connector. Sub Miniature Integral Angle Beam Transducers, Standard Series, 2.25 MHz, 0.120 in. x 0.250 in. ; 70 degree shear in Steel, Right Angle Microdot Connector. Sub Miniature Integral Angle Beam Transducers, Standard Series, 2.25 MHz, 0.120 in. x 0.250 in. ; 60 degree shear in Steel, Right Angle Microdot Connector. Sub Miniature Integral Angle Beam Transducers, Standard Series, 2.25 MHz, 0.120 in. x 0.250 in. ; 90 degree shear in Steel, Right Angle Microdot Connector. Miniature Integral Angle Beam Transducers, Standard Series, 2.25 MHz, 0.250 in. x 0.250 in. ; 60 degree shear in Aluminum, Right Microdot Connector. Miniature Integral Angle Beam Transducers, Standard Series, 5.0 MHz, 0.187 in. x 0.187 in. ; 45 degree shear in Aluminum, Straight Microdot Connector. Miniature Integral Angle Beam Transducers, Standard Series, 5.0 MHz, 0.187 in. x 0.187 in. ; 45 degree shear in Steel, Straight Microdot Connector. Miniature Integral Angle Beam Transducers, Standard Series, 5.0 MHz, 0.187 in. x 0.187 in. 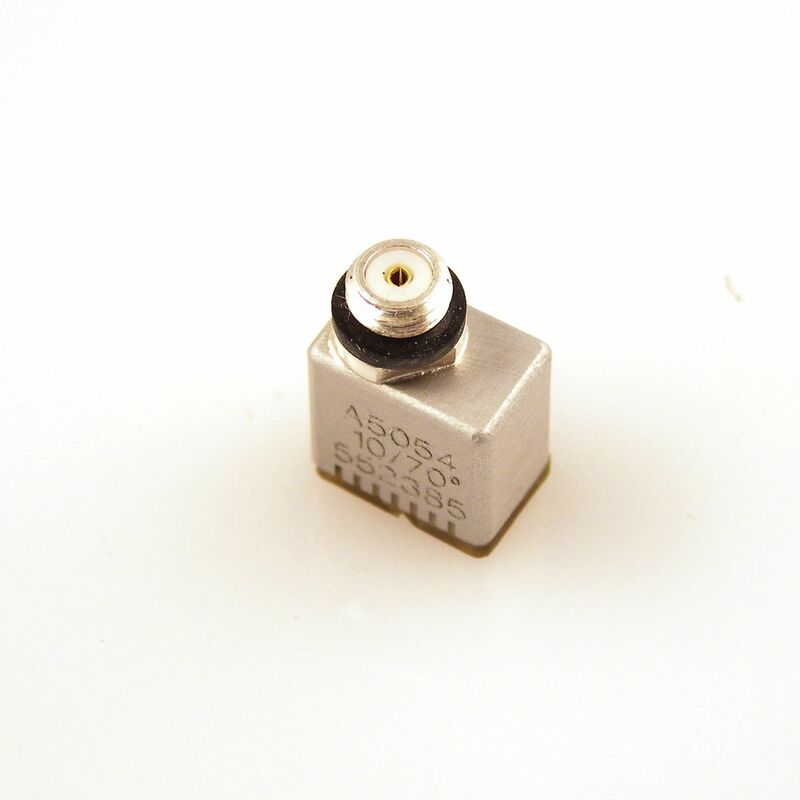 ; 60 degree shear in Steel, Straight Microdot Connector. Miniature Integral Angle Beam Transducers, Standard Series, 5.0 MHz, 0.187 in. x 0.187 in. ; 70 degree shear in Steel, Straight Microdot Connector. Ultra Miniature Integral Angle Beam Transducers, Standard Series, 5.0 MHz, 0.187 in. x 0.187 in. ; 45° shear in Steel, Straight Microdot Connector. Ultra Miniature Integral Angle Beam Transducers, Standard Series, 5 MHz, 0.187 in. x 0.187 in. ; 45° shear in Aluminum, Straight Microdot Connector. Ultra Miniature Integral Angle Beam Transducers, Standard Series, 5.0 MHz, 0.187 in. x 0.187 in., 60° shear in Steel, Straight Microdot Connector. Ultra Miniature Integral Angle Beam Transducers, Standard Series, 5 MHz, 0.187 in. x 0.187 in. ; 60° shear in Aluminum, Straight Microdot Connector. Ultra Miniature Integral Angle Beam Transducers, Standard Series, 5.0 MHz, 0.187 in. x 0.187 in. ; 70° shear in Aluminum, Straight Microdot Connector. ultra Miniature Integral Angle Beam Transducers, Standard Series, 10 MHz, 0.187 in. x 0.187 in. ; 45 degree shear in Steel, Right Angle Microdot Connector. Miniature Integral Angle Beam Transducers, Standard Series, 10.0 MHz, 0.250 in. x 0.250 in. ; 70 degree shear in Steel, Right Angle Microdot Connector.